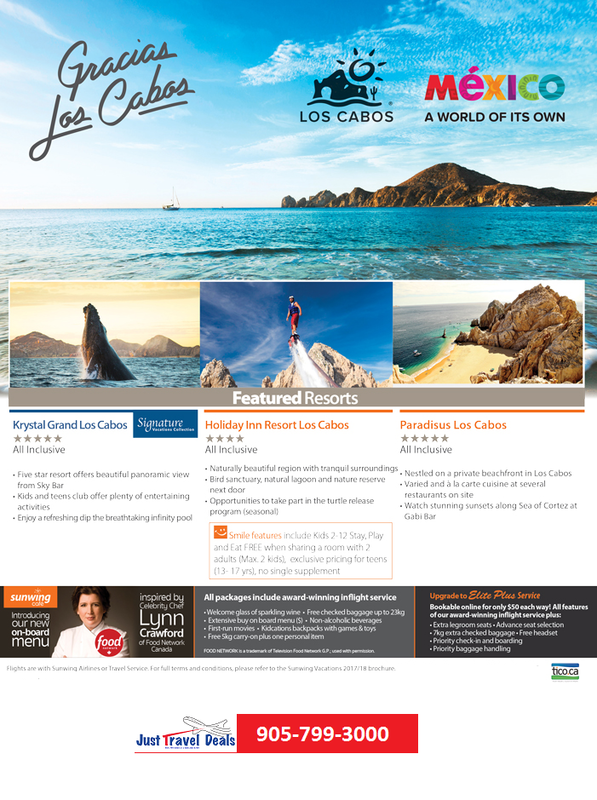 The history of Los Cabos is as rich as the landscape that defines the region. One of the oldest parts of the southern Baja Peninsula, Los Cabos translates into "The Capes," and brings a lasting history to this unequaled corner of the world. With nearly 360 days of sunshine each year and countless activities from which to choose, Los Cabos will captivate you with its unsurpassed natural beauty. Whether you prefer to tee off at a world-class golf course or head out at sunrise hoping to catch a prized marlin, Los Cabos has it all. Every day is the start of a new adventure. You can indulge with a day at the spa and request a pampering treatment that uses a blend of local Baja plants. Or you can go surfing, kayaking, snorkeling or diving at one of the many tempting locations you'll find throughout this fun-in-the-sun paradise. Get closer to nature, on an ATV ride through the mountainous terrain while learning about the flora and fauna that abounds, hop into a Hummer H2 for an amazing ride, or zoom along in a Chenowith racer for a unique adventure. No matter which activity you decide to embark on, you're sure to enjoy your stay — and you'll want to come back again and again for more. Great Getaways | Complimentary Rooms, Upgrades, and More at Now Sapphire Riviera Cancun!